International Journal of Research in Health Sciences,2015,3,1,150-157. 1-Assistant Professor, Department of Psychology, Prajyoti Niketan College, 2-Pudukad.Student MSc Clinical Psychology, Department of Psychology, Prajyoti Niketan College, Pudukad. 3-Assistant Professor, Malabar Dental College, Edappal, Kerala, INDIA. With progressive globalization and rising competition, stress has become a serious issue affecting the physical and mental health of medical professionals. Dentistry and oral maxillofacial surgery are known to be highly demanding and stressful environments. With oral and maxillofacial surgery being a particularly high-stress specialty of dentistry, a study of the dental literature regarding stress may be relevant. The aim of the current study was to find out the stress profile of maxillofacial surgeons using Stress Profile based on cognitive transactional modal proposed by Lazraus (1980). The sample consists of 43 maxillofacial surgeons from different parts of the country. The data obtained was analyzed using correlation analysis, multiple regression analysis and profile analysis. Stress was significantly associated with health habits, Type A personality factors, social support, Problem solving abilities and general cognitive factors. 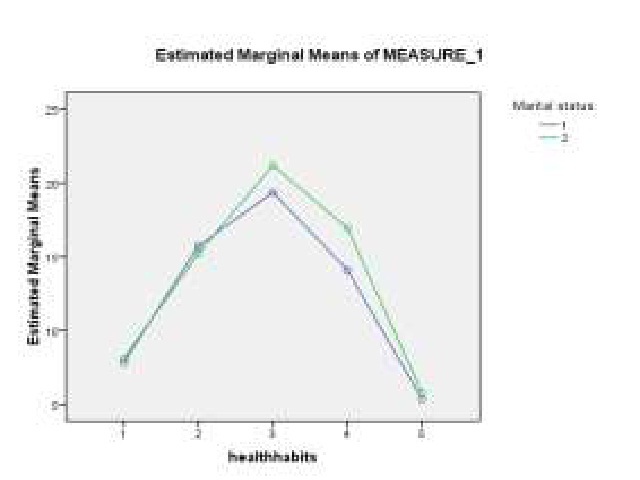 Multiple regression analysis revealed that most important predictor as health behavior. Profile analysis of health behavior in the context of demographic details reveled that irrespective of marital status, type of family and working pattern health behaviors have got significant role in the emergence of stress among maxillofacial surgeons. From the results, it was evident that effective health practices based on diet, exercise, reducing alcohol and other drugs management of stress is possible. By managing the life styles and quality of life, professional needs are satisfactorily achieved.